10 to watch out for in 2014! Home|Amlin Challenge Cup, Club Rugby, Heineken Cup, Premiership Rugby, Pro 14, Top 14 Rugby|10 to watch out for in 2014! With an emotion sodden year in Rugby Union now a slightly more distant memory, 2014 presents the rugby world with new challenges and new prospects that will burst onto the scene. With Welsh Rugby Union in turmoil and the pinnacle of club rugby, the Heineken Cup unlikely to be the same again, Northern Hemisphere rugby is changing shape. Who will create those memorable moments? Who will leave lasting memories? Who will come one step closer to world class status? Over the recent season there have been a handful of players who have made consistent performances, gone beyond expectation and impressed those at the very top!! Here is my look at those who could catapult themselves to the International stage or help their clubs secure European trophies…. Gillian Galan has perhaps been one of the best finds this season so far in the Top 14. 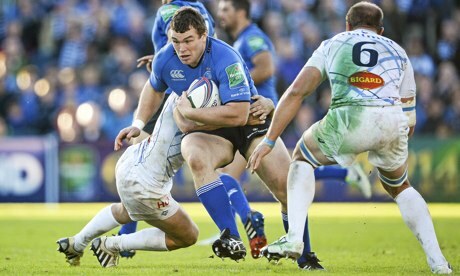 The man mountain Back Row demonstrated his natural ability and dominance with the ball against Saracens in Round 2 of the Heineken Cup. Putting the opposing Back Row to shame, Gallan, born in Montauban, is certainly close to earning International Caps and even in the next few years, challenging some of the World’s best 8’s. At only 19, Fickou has already represented his country and created a storm around the rugby world. Compared to Jeremy Guscott, the 14 stone youngster has shown signs of brilliance for Toulouse after being, somewhat stupidly released by Heineken holders, Toulon. His creativity and attacking skill could contribute to a World Class French Centre partnership, and there is no doubt, he still needs to put in plenty of hard work to reach the heights he has been predicted. I cannot wait to see Fickou become a rounded rugby player! He’s certainly not part of a victorious side. With Biarritz sitting rather unattractively bottom of the Top 14, there is talk about the merging of Serge Blanco’s side with other struggling side, Bayonne. Yet, Teddy Thomas is without doubt, a young gun who has demonstrated his ruthless running out on the flank. Protégé to American speedster, Taku Ngwenya, Thomas demonstrated his prowess against fellow bottom Premiership side, Worcester Warriors, at home in the Amlin Cup, scoring two sublime tries! With evident power allied with superior agility, Thomas could soon wear the France number 14 jersey. Let’s hope he can continue to ply his trade in the French Premiership. An allusive, pacey back three prospect who is already being pipped to compete with Harlequins stalwart, Mike Brown for the England 15 shirt. Not only providing safety under the Gary Owen, Watson has a unique spark and quality likened to that of Billy Whizz himself. If Watson can stun the defences of the leagues best, and add defensive solidity to his already sublime skill base, its certainly probable he could emulate the great Jason Robinson. I hope that Watson continues to appear in that Bath back three, as lets face it, Abendanon is no slouch! As a Worcester fan, it’s frustrating to think that yet another talented athlete decided to up-sticks to earn his wage somewhere else. A classy, set-piece expert has plenty of competition with fellow Englishman in that old row, with resolute Launchbury and tenacious Lawes too name a few, proving their worth on the International scene. Yet, after half a season behind us, Kitchener is perhaps one of the most sublime players so far this year in the centre of that Scrum, probably alongside Sale’s Paterson. For such a tall man, he manages to make vital metres and continually draw defenders in to give the Tigers backs a platform to attack the flanks. His Set Piece work is evident and the former England U20 and England Saxon seems like a less experienced Sam Whitelock. Such a mobile Lock means Lancaster and co. are going to need plenty of Paracetamol with the selection headache they’re about to receive! In the absence of Marland Yarde, Ben Foden and Christian Wade, the Cornishman is making an impression throughout the rugby community and as a result, could see himself lining up for the 2014 Six Nations. With legendary Springbok, Bryan Habana giving gleaming praise for Nowell’s phenomenal demonstration of Wing wizardry against Toulon at the ever windy, Sandy Park, it seems Nowell is one of the brightest talents we have. His tactical intelligence and running lines, as well as an exceptional ability to beat defenders make him my first choice for the England 14 shirt! Born in Zimbabwe, it almost seems like the former Cornish Pirate has come out of nowhere. 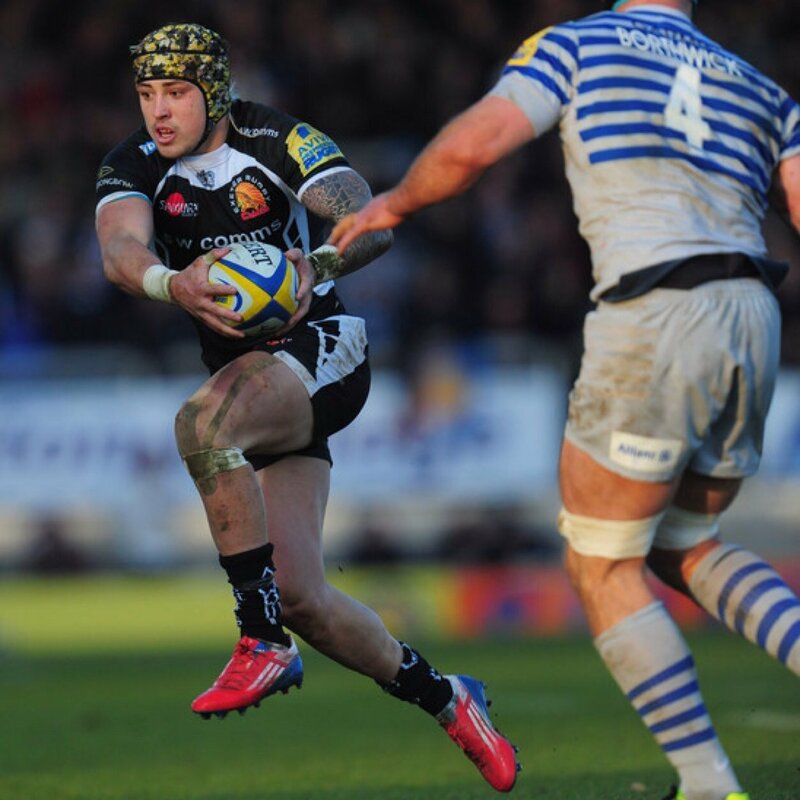 Partnering stand-out Tom Johnson in the Chiefs Back Row has seen Ewers make notable performances, one after the other. The 6ft 4, 18 stone powerhouse carries ball after ball and never fails to put in some huge, destructive hits. With Big Billy Vunipola improving game on game, and Ben Morgan never without an impact, it will be hard for Ewers to muscle his way in to England’s Back Row. Yet, if Chiefs can consistently push Europe’s best teams, Ewers will be able to test himself against the Hemisphere’s best. There is no better way to develop your game by playing with the elite! 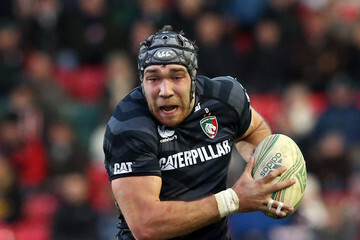 A beastly, hard running Centre who has already been backed for International honours by London Irish DOR, Brian Smith. I haven’t seen too much of Sheridan, but having been a product of Leinster’s academy, he’s definitely had the right introduction to top flight rugby. Having crossed the whitewash against the Cherry and Whites last weekend, he made Trinder and Tindall look pretty average. With BOD retiring and D’Arcy almost 34, Ireland need some new Centre’s to release their quality back three. Interesting to see if Sheridan stays at Irish, with the likes of Munster already showing a big interest in the Birmingham born Irishman. Cian Healy’s protégé. McGrath earned Man of the Match on his International debut, and he’s continued to impress since. A stern scrummager who likes to carry ball all around the park has gained him a positive reputation among the Leinster faithful. With Leinster regularly Europe’s best, McGrath is undoubtedly in one of the best environments to kindle his progression. 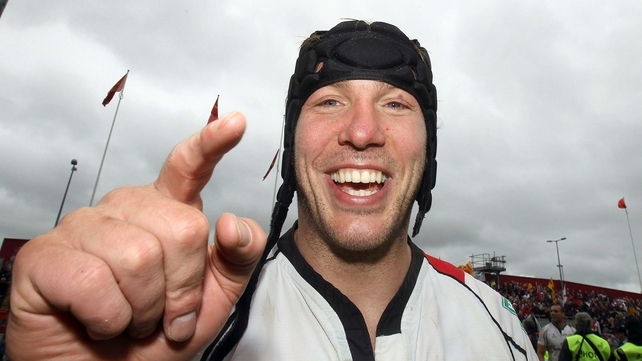 Look forward to seeing what the 19 stone Dubliner can do to opposing Front Row’s in the Six Nations. I can remember being in awe of both Rhodri’s, Scott’s and Jordan Williams’ performance earlier on in the season against Premiership giants, Harlequins. 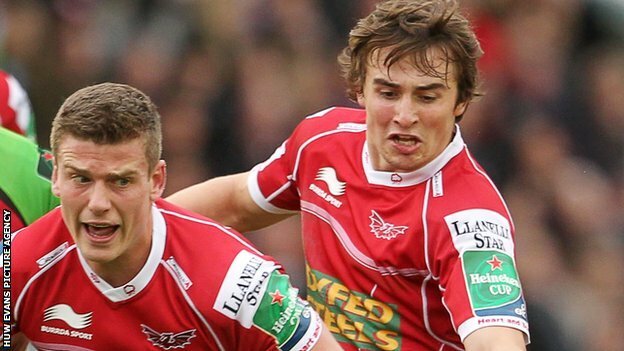 His stellar number 9 play alongside, Jordan’s unimaginable footwork and Scott’s dynamism certainly made for a wondrous Parc Y Scarlets Triple Threat! His speed between the breakdown’s, consistent distribution and vision in open play has made him number 1 challenger to unsettled Lion, Mike Phillips. With 2 Welsh caps already under his belt, Williams is still in the bloom of youth and has time to develop and master his trade. Oh-and number 11. I cannot wait for this guy to get back! Let’s hope we see him soon! I hope this year of rugby brings more sublime skill and emotional moments. Happy New Year to all! Bucks New Uni student, studying Sports Management. Having played rugby for Worcester, County and other levels for 12 years, I now have turned my attention to the Coaching and Marketing side of the game. Die hard Worcester Warriors fan! Level 2 Community Coach at Wasps and Harlequins. Coach for BNU. Part of Premiership Rugby 'Bloggers Bench' and a blogger on BT Sport. Bodybuilder. Follow me on Twitter @the_Verralls or on Facebook.